Leti, our Insurance/Billing Specialist, originally from the southeast Texas town of Karnes City, fled to the bright lights of Austin in 1989. Leti, who has 8 years of experience in Optometry, enjoys assisting our patients and all their insurance, billing and scheduling needs. 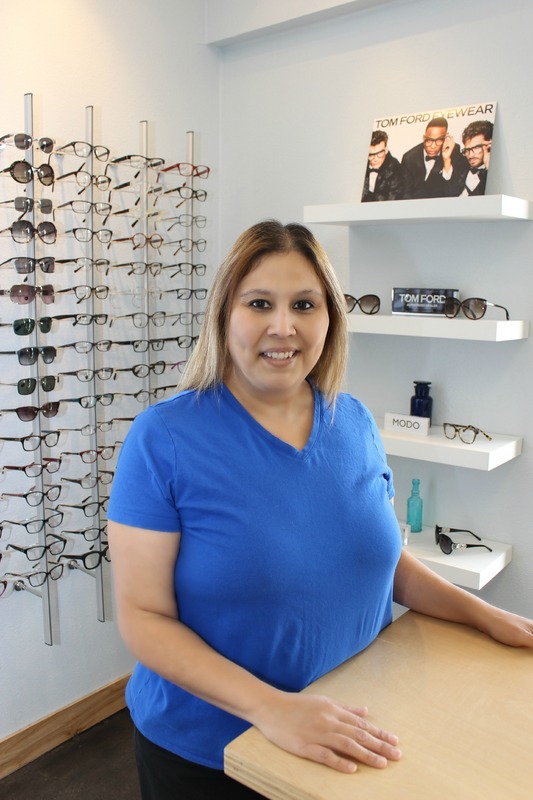 Leti also enjoys helping our patients frame style the latest trends in eyewear. She is a perfect fit for Freedom Eye Care because of her vast knowledge, sensitivity, extraordinary listening and attention to detail. In her spare time, Leti enjoys cooking, spending time with her family, and the occasional beer while cheering on her favorite sports teams.